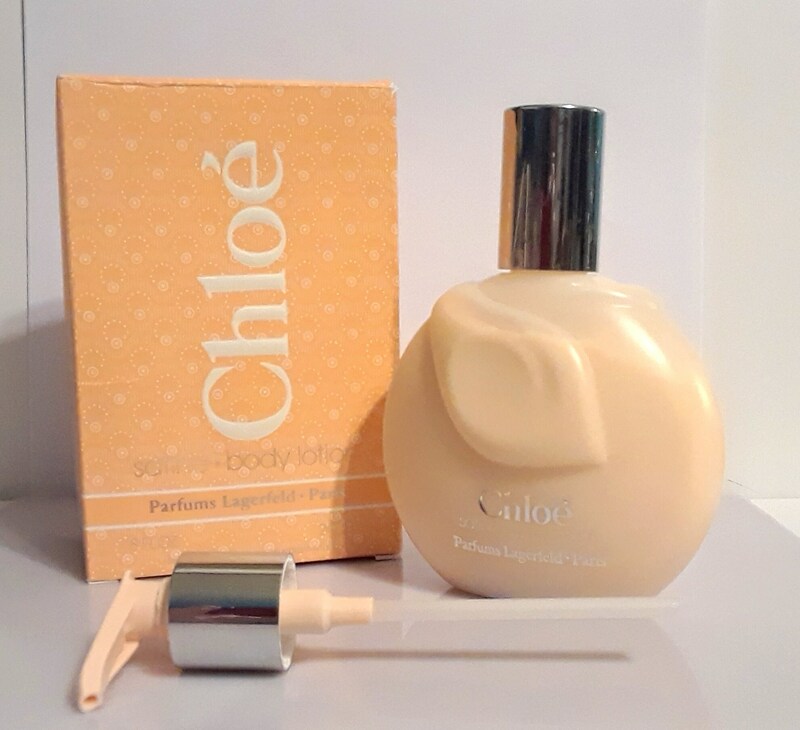 Vintage Perfume 1970s Chloe by Karl Lagerfeld 8 oz (240ml) Perfumed Body Lotion & Box Bethco Classic Women's Fragrance. The bottle is full - see photo for the actual fill line. This was never used, as you can see the pump is still clean. This is the "Satine Body Lotion" which debuted in 1977. The lotion is old and no longer fresh. I just tested this and it smells rancid, the lotion has started to separate, so I don't think it would be wearable. The box shows wear and tear from age and storage. This would be better suited as a collectible. Batch code is "9KA". There s no barcode on the box which means this lotion predates 1991. 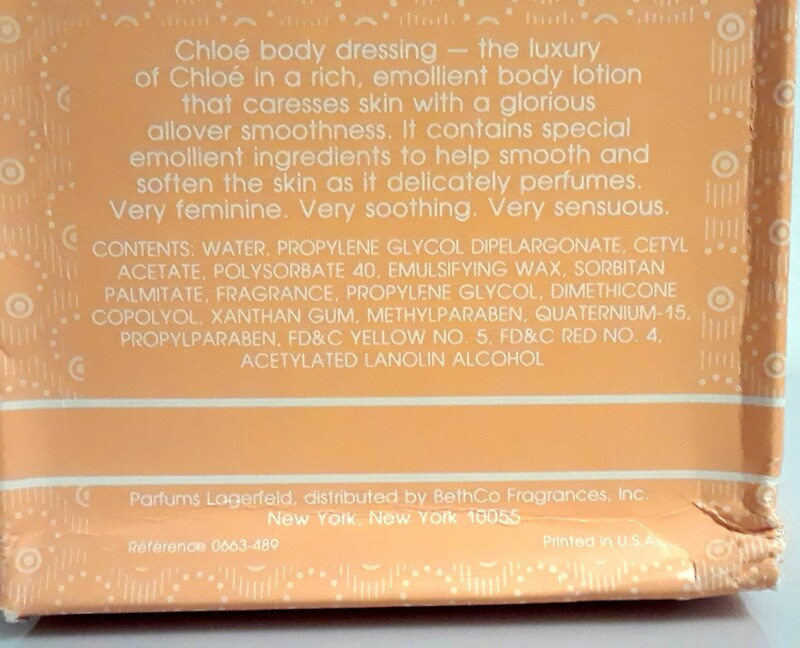 Chloe was originally produced and distributed by Bethco Fragrances, Inc. of New York, New York (a subdivision of Elizabeth Arden-Faberge, Inc). Bethco operated as the upper end American producer of Chloe, Lagerfeld and Fendi perfumes. Bottles will be found with labels with the Bethco names. 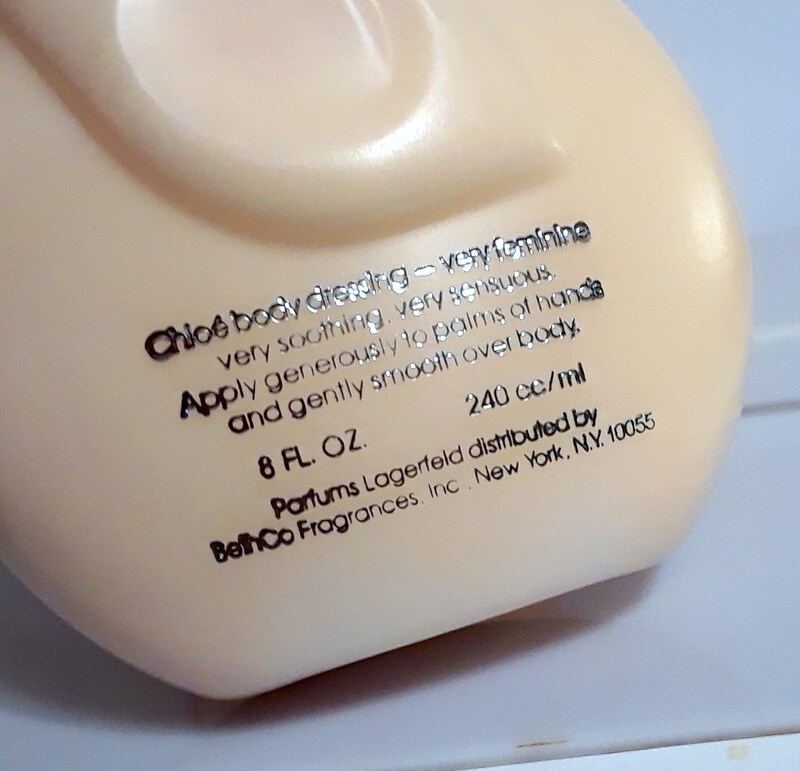 In 1989, Unilever purchased Bethco Fragrances, Inc, but the labels will still be branded with the Bethco name. Around 1990, Elizabeth Arden organized a subdivision, Parfums International, Ltd, to control the other Unilever owned fragrance brands (Lagerfeld, Chloe, Fendi, Elizabeth Taylor, Decadence, etc). These labels will be marked with the Parfums International, Ltd name. Distributed by Bethco Fragrances, Inc,. Karl Lagerfeld launched Chloe in 1975. It is classified as a floral fragrance for women.